We offer several other after sales and support services inducing sales, detailing and transport. Below you can find out more about each. 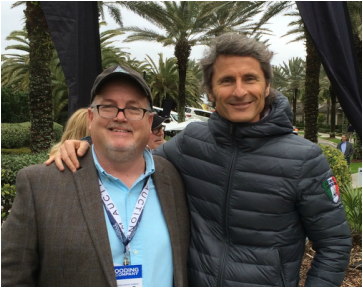 Wayne Long, with Lamborghini CEO & President, Stephan Winkelman. Dave Bice's detailing Department is located right at Mid-Atlantic Spots Cars! It's in the last bay of our building! 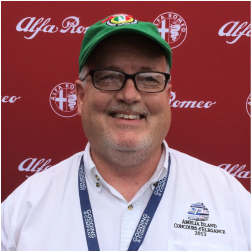 Wayne Long comes across some of the most interesting Automobile collectibles during his travels. ​If you are looking for a certain collectabile please give Wayne a call. At Mid-Atlanitc Sports cars we have have Roll-back trucks available for local transport. However, many over out customers are located thought out North America and around the world. In those instances where our customers are beyond our local area the transport services are provided by Bruce Hall at Applewood Motors. We've had a wonderful working relationship with Bruce for many years and he is the exclusive transporter for our private collections. All of Applewood's transporters are fully covered big rigs for East Coast Service and for Regional Transport service.